A pretty simple arcade shooter, made roughly in one day for Pre-Indie Game Jam. You have two attacks, a ranged and a dash. 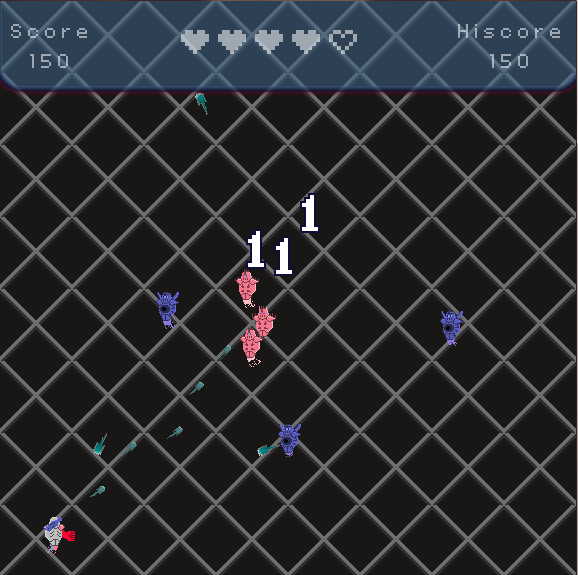 The ranged only deals damage to blue enemies, and the dash only deals damage to blue enemies. 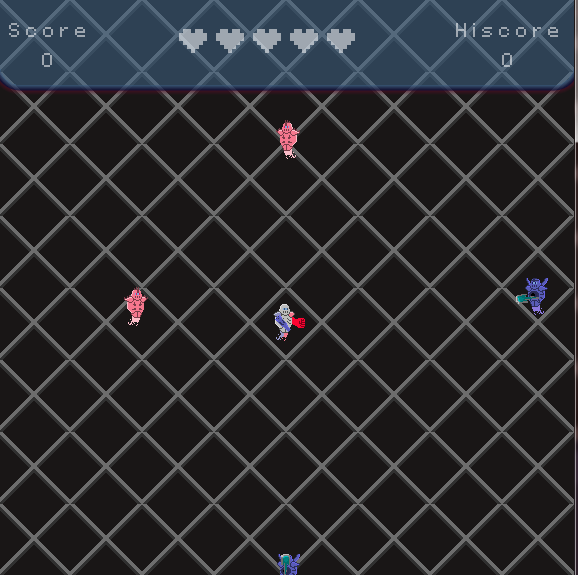 Notice, also, that the enemies also have the same skills: blue ones are able to shoot at you, and red ones will dash when close enough. Right Mouse Button: dashtowards where the mouse is pointing. 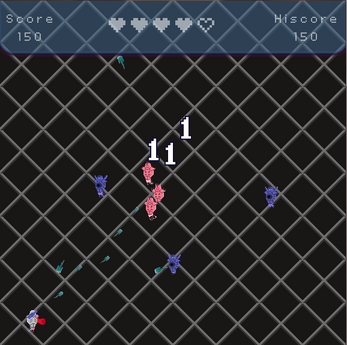 Destroy blue enemies and projectiles with this attack. I, Delta Key, was responsible for the coding, choosing the sound effects and making the music. Sklaiser was responsible for the graphics. This game was pretty fun. Good job!